Professor Sioned Davies introduces the early medieval Welsh tales of the Mabinogion, which feature Celtic mythology, a history of medieval Britain and King Arthur. Professor Sioned Davies, Chair of Welsh at Cardiff University and author of the first new translation of The Mabinogion for thirty years, reflects on the ancient tales. Internationally recognized as the world's finest arc of Celtic mythology, the tales in the four 'Branches' which make up the Mabinogion reveal an ancient world of gods and monsters, heroes, kings and quests. In this series of The Essay, five Welsh writers present a different story or theme from the Mabinogion across five nights. They tell tales that stretch far beyond the boundaries of contemporary Wales, and although well known in Wales today, these stories are not familiar to those in other parts of Britain. 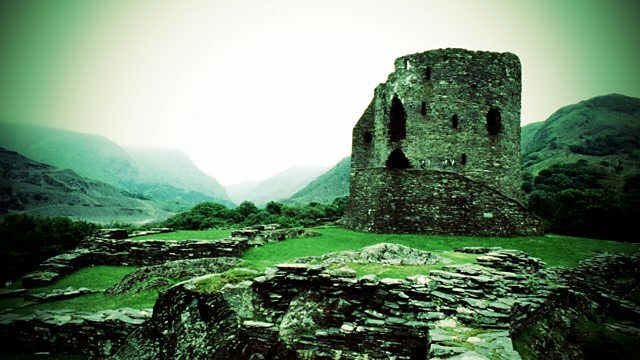 They bring us Celtic mythology, a history of the Island of Britain seen through the eyes of medieval Wales. They also include the first appearance in literature of King Arthur. There is enchantment and shape-shifting, conflict, peacemaking, love and betrayal: stories of such colour and wonderment that even those who are not familiar with them will find universal appeal. There's Gwydion the shape-shifter, who can create a woman out of flowers; Math the magician, whose feet must lie in the lap of a virgin; hanging a pregnant mouse and hunting a magical boar. Dragons, witches and giants live alongside kings and heroes, and quests of honour, revenge and love are set against the backdrop of a country struggling to retain its independence. A wife conjured out of flowers is punished for unfaithfulness by being turned into an owl. Arthur and his knights chase a magical wild boar and its piglets from Ireland, across south Wales to Cornwall, and a prince changes places with the king of the underworld for a year. By weaving contemporary themes into these ancient tales and culminating in a reading from the texts, these essays re-invest the tales with the power of performance they originally commanded.